"You get no credit for living" is an adage you may have heard bandied about in creative nonfiction classes. The tidy epigram encapsulates the lesson that writing some sentences about one's life is not sufficient to produce literature. The full quote — attributed to British writer and critic V.S. Pritchett — states: "It's all in the art; you get no credit for living." But how does one spin the straw of lived experiences into literary gold? Readers might find an instructive example in Sydney Lea's newest book, What's the Story? 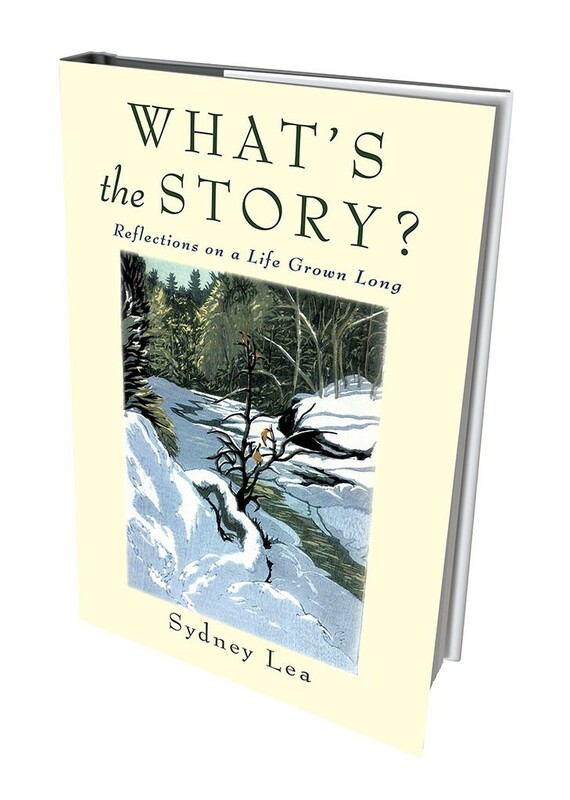 Short Takes on a Life Grown Long, published in November by Brattleboro's Green Writers Press. 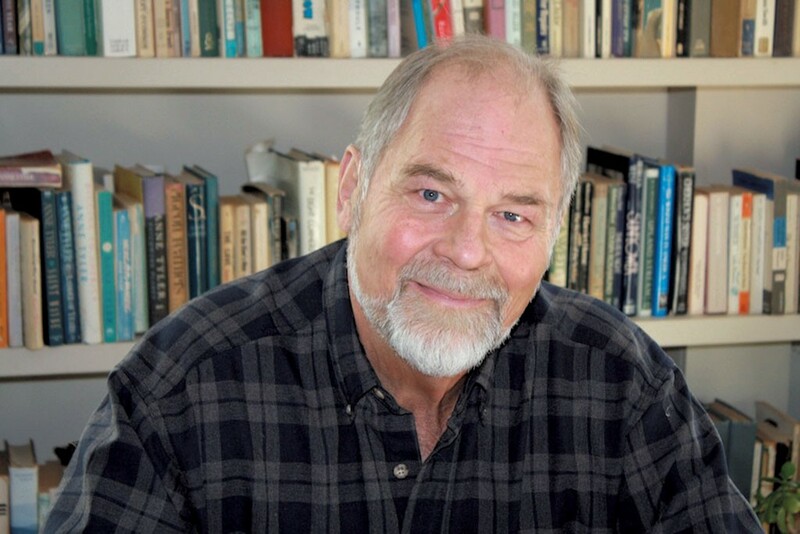 Lea is most widely recognized for his poetry: He served as Vermont's poet laureate from 2011 to 2015 and is the author of 11 volumes of verse, with a 12th due out in early 2016. But he has also produced a short stack of prose books, including a novel, a collection of literary criticism and three prior collections of lyrical essays, the form that What's the Story? exemplifies. Such essays marry qualities of poetry (use of figurative language, attention to rhythm and diction) to the sentence and paragraph structures of prose. What's the Story? is distinguished from Lea's earlier works by its brevity. The book contains 68 mini-essays, or "short takes," that clock in at about 1,000 words each. Grounded in Lea's septuagenarian vantage point, they explore the terrain the senior author has covered, imaginatively and actually. As he writes early in the book, "It's as though I were looking on these people here, on my children, my children's children, on my past — I'm looking from above ... I've risen over our group like smoke." Almost all of these short takes previously appeared in literary magazines. While each appears crafted to stand alone, collectively, the stories compose a quilt of prose that eloquently stitches together Lea's ongoing concerns about family, neighbors and friends, and his attachments to the more rustic reaches of the Northeast. They also express a grumpy kind of gratitude for life and its finalities. Many of these short takes contain baffling queries such as "What do I know of psychology? What does anyone know?" Lea's sentences often course back and forth — setting forth propositions, then contradicting them, yet still progressing toward hard-won revelations. It's as if, beyond stating the facts, the author sees truth in accounting for the mixed feelings that cling to each matter. Take the question of words — how many do we need to express our truths? In a short titled "Whatever I Might Say," Lea speculates on the legacy of speech in his family. Remembering Creston MacArthur, a woodsman and his son's and grandson's namesake, he chides himself, "I should do more now than merely prattle with these good companions, just as I should have said more to Creston, gone almost forty years, and perhaps he to me. Or maybe not: deep in the woods, barred owls started to chatter that night. 'Like a good pack of hounds,' Creston said, and that woodsy locution seemed perfect, seemed pinpoint accurate. I smiled." In the fourth section of a four-part short titled "County Home: An Iraqi Suite, 2004," Lea recounts his visits to Joe, who lives in a group home with a "Pine Sol-and-urine-reeking hall." "Joe and I are friends by now, to call it friendship, and you always want, of course, to help a friend or any fellow human as much as you can — except you can't," he writes. "Or maybe you can but you don't know how." In addition to weaving their way among these "shoulds" and "shouldn'ts," "cans" and "can'ts," Lea's words vault distances of time and space. At the opening of "River, Stars, and Blessed Failure," he writes, "It's a joy to behold the moon as it breaches the mountain, though I feel even slighter than one of the beads of froth down there in the rapids, which are winking back at more stars than I've ever seen in New England." Faced with this beauty, he makes a turn away from language that is nonetheless beautifully articulated using it: "I'm banishing words for the moment, as if by strange instinct — not just my own words, but all. I find it more than peaceful out here to articulate nothing, to feel myself on the farthest edge of conscious thought." Throughout the book, Lea takes this route of certainty followed by backtracking followed by new assertion — a path at once engaging and hypnotic, like a lake's lapping or a hunting dog's looping scout and return. The reader often seems to be observing the author as he studies the paw prints his thought made as it went scampering through the underbrush of doubt, regret and love, propelled by its voracious appetite for beauty. This is not to say that Lea doesn't deliver a satisfying conclusion to each short essay's excursion — he does. But his sentences are gorgeous specimens, and readers may find themselves engrossed less by the urge to discover what the story is or was than by the need to savor its telling. Here's another elegant gem from "Micah Weeping, 1983," in which Lea reconsiders his judgment of a veteran crying in public on Memorial Day: "There was so much else in the world I could have imagined, but then again, no one had shot at me, I hadn't seen anyone bleed to death, so I thought Micah just looked loopy in fatigues and a cap that seemed to be melting down his head, like snow from a roof." At times, readers may wonder what occasioned the pieces in this collection. Did they begin as formal exercises to tie memories and ideas together in the span of a journal's page? Taken together, they read like a year's worth of secret weekly columns for an intimate newspaper, where Lea offers a select audience not only what he knows, but the larger sum of what he does not. "I still don't know how I'll ever leave this place, or leave my children and their children, or the wife who's stood by me no matter," he confides in "Camp by the River." In the book's coda, he asks a kindred question: "Those children's children: how could I ever have known how much I'd love them?" Fans of Lea's work will no doubt hope he pursues such essential concerns, addressing them with his deftly built sentences in perhaps yet another collection of possible answers to his self-imposed question: "What's the story?" From What's the Story? : "Passing the Arts and Crafts Fair — in mem. Irving Chamberlin (1929-2011)"
I read the sign on the fence, "Artists Can Heal the Planet," and I think, Oh no, they can't. With few arts of my own to rely on, I liked to visit Irv's shop, to watch him build a chair you could actually sit on. But I loved him, chair or no chair. There aren't many like him anymore, the soft-spoken old ones, who still know how to farm, how to raise up a house you can live in, how to still-hunt a whitetail. Of course, you have to break down their reticence, which takes patience, always well repaid. But even then, they play their parts in their own stories pretty humbly. Irv dropped as he tilled the garden next to his and Marion's house on the river, where today his ivory potato flowers likely display their blooms in neat rows. The potato flowers would do for his funeral, lovely as they are — more so than whatever the artists may be displaying in their earth-healing fair. Not that I know that; I merely suspect it. Irv's gone, and the earth keeps whirling, not to be healed for now, maybe never. Probably never. How fine, that almost shy way the man would greet anyone he cared for, his smile barely perceptible, his ice-blue eyes cast down, his words hard to discern at first. Not that Irv was cold, only modest. He was what he was, irreplaceable among other things. The day is wind-raked, so Irv's weathervane rooster must be spinning like the planet in question. He may have wrought the vane himself, for all I know. It must point in every direction. Just to think of it is a grief. The original print version of this article was headlined "Short Takes on a Long Life"
Julia Shipley is a contributing arts & life writer based in the Northeast Kingdom. She's written for Seven Days since 2012.